From 1989 – 1993, Dr. Horn was the commissioner for Children, Youth and Families, and Chief of the Children’s Bureau within the United States Department of Health and Human Services. Dr. Horn also served as a Presidential appointee to the National Commission on Children from 1990 – 1993, a member of the National Commission on Childhood Disability from 1994 – 1995, and a member of the U.S. Advisory Board on Welfare Indicators from 1996 – 1997. Dr. Horn is frequently featured on television and radio as a child development expert and commentator including appearances on NBC’s Today Show, Good Morning America, CBS This Morning, McNeilLehrer News Hour, 20/20, 48 Hours, ABC World News Tonight, CNN, NBC Nightly News, CNBC, Fox News Channel, CBN and MS-NBC. Dr. Horn received his Ph.D. in clinical child psychology from Southern Illinoise University in 1981. He lives in Gaithersburg, Maryland, with his wife and two daughters. 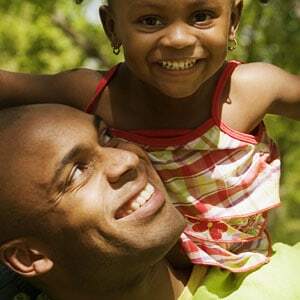 Dr. Wade Horn, former president of the National Fatherhood Initiative, talks about the importance of fatherhood. Dr. Wade Horn reflects on the state of marriages and families in the U.S.